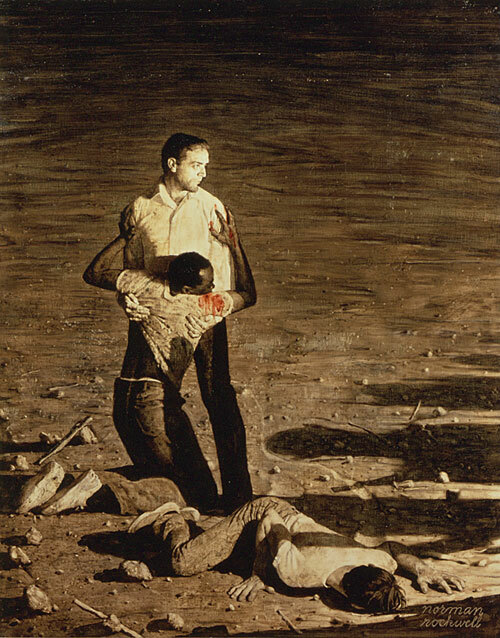 Study for Norman Rockwell’s “Murder in Mississippi,” an illustration that accompanied a June 29, 1965 Look magazine article about the June 21, 1964 murders of three civil rights workers in Philadelphia, Mississippi. Photograph by Louie Lamone. From the Norman Rockwell Museum. If you’re a blogger, these are boon times. Every day seems to bring a fresh controversy, a breaking news story. Why are women so hard on one another? In my guise as editor in chief of WAG magazine, I had a pleasure of sharing a moment with Ashley Judd on the red carpet of the Greenwich International Film Festival (GIFF) in Connecticut Friday night. She is an exquisite-looking woman who is, more important, exquisite in her manners and manner. I began by thanking her for her work as one of the leaders of #MeToo and asked her if she thought that this time, the response to the sexual harassment women have suffered would really be different.